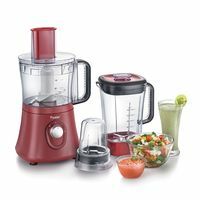 Philips Daily Collection Food processor HR7627/00 650W is a compactly designed device with high performing accessories. The device comes with 2 speed setting controls. Speed 1 is best suitable to create a paste, where as Speed 2 is ideal for chopping vegetables. 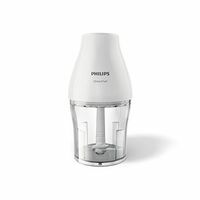 It comes with 40% larger Feeding Tube, to save the pre-cutting time of fruits and vegetables. The stainless steel disc insert provides you with the best slicing and shredding of the food. All you have to do is select the stainless steel disc insert. 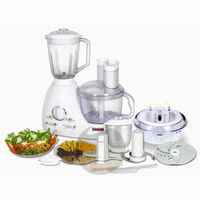 The food processor can prepare the juice for 5 in one go, which is ideal for a nuclear family. The 650W Motor provides powerful operation of machine and makes it more durable, enhancing it's overall life. The device does not contain an inner chimney, which prevents any leak from it, keeping your counter and kitchen cleaner. The PowerChop technology of this processor is ideal and provides you high efficiency. 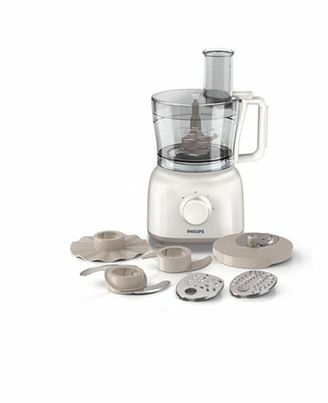 It also allows you to make purees and mix your cake batter easily!